i Click 'view all' to instantly compare this good deal with offers on other top gaming headsets. 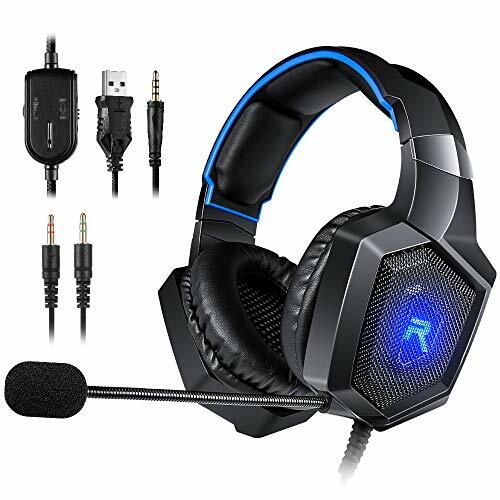 RUNMUS Gaming Headset Gaming Headphones is currently selling at $29.35, approximately $1.78 higher than average, giving a potential saving of $11.65 right now. With a lowest price of $20.00 and an average of $27.57 it is selling on the low end of its usual range. Price volatility is 2.67% (meaning it does not change often), so the price should stay low for a while. Right now this product is a recommended 'good deal'. 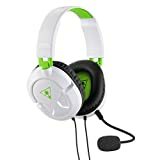 Compare the current price, savings (in dollars & percent) and Buy Ratings for the top Gaming Headsets that are closely related to RUNMUS Gaming Headset Gaming Headphones. Here is how RUNMUS Gaming Headset Gaming Headphones compares with other leading Gaming Headsets. RUNMUS gaming headset - The Preferred gaming headset for professional and home gamers alike. 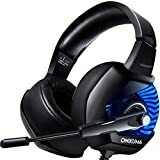 Immersive 360-degree sound field RUNMUS gaming headset equipped premium 50mm dynamic audio driver that offer player 360-degree full range sound field. It hugely augment immersive aural experience, makes player become a hero like in the real battle field. You can hear your enemies before they see you, and make out their position by the sound direction. Plug N Play - Multiple Platform Compatibility RUNMUS gaming headset is compatible with PS4, PS vita, PSP, Xbox One (Adapter Needed), Nintendo Switch (audio), Nintendo New 3DS LL/3DS (audio), Nintendo 3DS LL/3DS (audio), Windows PC, Mac OS PC, iOS device and Android device. Just plug and play! You can enjoy immersive surround sound in gaming right away. Clear Cast Microphone & Background Noise Cancellation RUNMUS gaming headset provides high clarity sound communication for player and filter most background noise at the same time. Every voice command would not be missed with this sensitive microphone. You can also rise up the mic when you don’t need it. Fascinating LED Light When you turn on the microphone, LED light will on Simultaneously. Blue LED light on both sides of RUNMUS gaming headset make it looks cooler and boost the gaming experience. Specifications Headphones Drivers: 50mm Frequency Range: 20Hz-20KHz Impedance: 32?±15% Sensitivity: 105±3dB Input Power: 20mW Cable Length: 7.22Ft / 2.2m Approx. Weight: 12Oz LED working voltage: DC5V±5% Microphone Microphone sensitivity: -38±3dB Output Impedance: ?2.2 K? Pick-up Pattern: omnidirectional Headset Jack: USB±3.5mm 4Pin FeaturesTRUE SURROUND SOUND EFFECT FOR IMMERSIVE GAMING EXPERIENCE. RUNMUS gaming headset adopts superior 50mm audio drivers combined with advanced audio techniques. It delivers quality simulated surround sound to enhance immersive gaming experience. With the high responsive audio drivers, you will be better to make out the direction from which the sound is coming, like the gun fire, enemy footsteps and scenario indicators. Let you gain the competitive edge you need to take your game to the next level.ERGONOMIC DESIGN & LIGHTWEIGHT MATERIAL FOR ALL-DAY COMFORT. Using self-adjusting padding headband & all-cover ear cups with soft memory foam, RUNMUS gaming headset presents the ultra-comfortable wearing experience. The soft ear cups with bionic protein cushion coat covers your ears gently. Thanks to its lightweight flexible plastic material, RUNMUS gaming headset is only 12 OZ. You won't feel any discomfort from headband and ear cups even after a long gaming sessions.MULTI-PLATFORM COMPATIBILITY FOR PLUG AND PLAY. 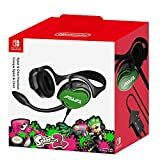 RUNMUS gaming headset works on PS4, PS vita, PSP, Xbox One, Nintendo Switch (audio), Nintendo New 3DS LL/3DS (audio), Nintendo 3DS LL/3DS (audio), Windows PC, Mac OS PC, iOS device and Android device. Xbox One headset adapter might be needed. With RUNMUS gaming headset, gamer can always enjoy a immersive gaming experience no matter in which platform. Plug and play. Take out the RUNMUS gaming headphones and enter the gaming world right away!NOISE CANCELING & ANTI-STATIC MICROPHONE FOR CRYSTAL-CLEAR COMMUNICATION. RUNMUS gaming headset has a sensitive adjustable mic using noise canceling techniques. It filters most environmental noise around you and provides real-in-time talking without any delay. Anti-static tech inside gaming headphones prevent static sound from happening. You can chat to your fellow players with crystal clarity sound and enjoy a smooth team-work play. RUNMUS gaming headset is the perfect gaming companion in MOG.